When Provost Claire Sterk charged Emory's Commission on the Liberal Arts (CoLA) last year, she sought voices from across campus to engage in a wide-ranging exercise in creative and critical thinking. At the heart of their conversations were key questions: What will a liberal arts education look like in the 21st century? How can Emory strengthen its role as a leader in imagining and implementing that vision? ?And, looking to the future, what should Emory's mission be as a residential liberal arts university? Following a year of extensive outreach and discussion, CoLA now moves into its next phase with the release of preliminary recommendations — proposals for creating the infrastructure, interdisciplinary partnerships and pilot projects to address those questions. Each committee was asked to consider ways to create a more "integrated intellectual community," building upon what Emory already does well as a leader among liberal arts research universities, said CoLA Chair Robyn Fivush, Samuel Candler Dobbs Professor of Psychology. Throughout the presentations common themes emerged, including a desire to reduce barriers to interdisciplinary collaboration in teaching and learning across units and the time, and securing the infrastructure and funding needed to support that. Based upon community feedback, Fivush said CoLA is already moving forward on addressing issues of infrastructure that will allow for greater flexibility in cross-unit scholarship, developing a more coordinated academic calendar, and providing more flexible course offerings expanded to include variable credits and times. "What CoLA is trying to accomplish is to increase flexibility," explained Fivush. "We envision more opportunities to engage in cross-unit teaching and mentoring for faculty who are interested," she said. "Our recommendations will increase possibilities, not increase requirements. We want to make things possible for faculty who want to engage." 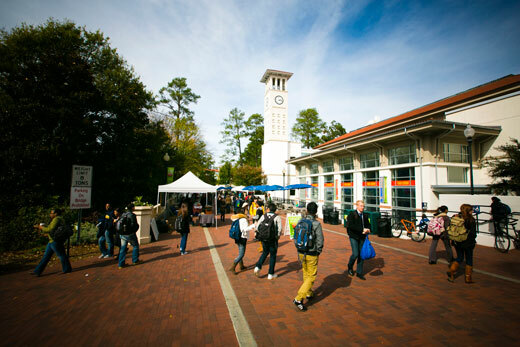 Move liberal arts more fully into the community with key pilot projects, including "intellectual tailgating" events, held around visits by high-profile Emory-affiliated figures and "synthesis seminars." Create an Emory liberal arts experience that is shared across units, with opportunities for cross-school teaching and learning, such as a common book or performance experience. Create a space for virtual connection on Instagram or Twitter. Despite interest in and energy for innovation at Emory, there is a need for structures to sustain and promote that innovative energy. Develop University Research Committee-type funding to provide release time to develop cross-unit, team-based initiatives in creativity, discovery, research, and innovation based on existing successful models, such as the Global Health Institute. Expand the Scholarly Research at Emory (SIRE) program to pair undergraduate (future innovators) with graduate students (current innovators) in a systemic way. Facilitate cross-unit scholarly interacting, such as salons or "speed dating" type events. Create a clearinghouse for faculty research interests. Provide adequate infrastructure, rewards and incentives. Improve faculty integration across ranks of adjunct, instructor and tenured positions. In response, Sterk congratulated committee members on the thoughtful exploration that went into preparing a "wish list of pilot projects," noting that the focus now moves into the realm of "imagining and implementing." "Obviously, this is something that we will have to do collectively — that's the only way it's going to work," said Sterk, who is Emory's executive vice president for academic affairs and Charles Howard Candler Professor of Public Health. "We have to really think about the ways in which we can figure out how to translate these wishes into realities; my take is that the faculty really are the drivers for this," she said. "What we're really talking about is cultural change, which never happens from the top down." For more information about the CoLA committee recommendations or to view Powerpoint presentations from the forum, visit Liberal Arts Forward.